Freds Art Works. 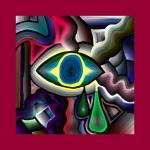 Abstract painting, geometrical painting, photo realism, figurative drawings and more. A Fine Arts major receiving a Bachelor of Fine Arts Degree. My talents encompass design graphics, contour drawings, pen and ink, abstract, photo realism and figurative drawing and painting. My education, spirit and life experiences led to the development of these Giclee (Lithograph) fish designs, paintings, photographs and pen & ink drawings. Click on Gallery to view the 5 categories of my art. I am offering my art as fine art limited edition Giclee prints, museum quality with original signature. I only utilize museum quality canvas and museum quality fine art paper. The canvas is gallery wrapped with 1 1/2 inch stretcher bars. Please contact me for various sizes available and pricing. "CLICK ON CONTACT"
Available in museum quality canvas and fine art paper. Original signiture. Gallery wrapped with 1 1/2 inch bars. Check out our selection of Limited Edition Giclee prints on museum quality paper & canvas. Vibrant colors. Available in museum quality canvas. Gallery wrapped with 1 1/2 inch bars. Also available in museum quality fine art paper.